BOONE LAW FIRM is the oldest law firm practicing in the Venice area, having been established in 1956. The firm is rated “AV”, the highest rating attainable by Martindale-Hubbell Law Directory. The founder of the firm, E. G. “Dan” Boone has been a member of the Florida Bar and practicing in the Venice area for over 60 years. Dan’s sons, Steve and Jeff Boone, have been practicing law in Venice for over 35 years, and now the third generation of Boone attorneys – Stuart, Anne and Jackson have been with the firm since 2015. The firm consists of six attorneys practicing in all areas of general civil law, including corporate, banking and business; wills, estate planning and probate; problems of the elderly; real estate, land development and land use; and local government regulation. Boone Law Firm does not practice in the area of criminal law. As a complement to its highly qualified attorneys, the law firm also employs a skilled and experienced support staff of legal assistants and paralegals, including a land planner. The Boone Law Firm has been an active participant in the growth and development of the Venice community from a sleepy post World War II Village of fewer than 5,000 people to a vibrant, thriving, multi-generational community offering a wide variety of recreational activities, arts, culture, dining and nightlife. The Boone family have been active participants in the non-profit and philanthropic activities in Venice for over 60 years. Some of these activities are highlighted in our “Community Involvement” page. Members of the Boone Law Firm have also been very involved in local government activities in Sarasota County, not only through representation of clients in front the Sarasota County Commission, Venice City Council, North Port City Commission and a variety of other City and County Boards, but also as active participants in the governmental process, serving on City and County Advisory Boards, Planning Commission and Charter Review Board. 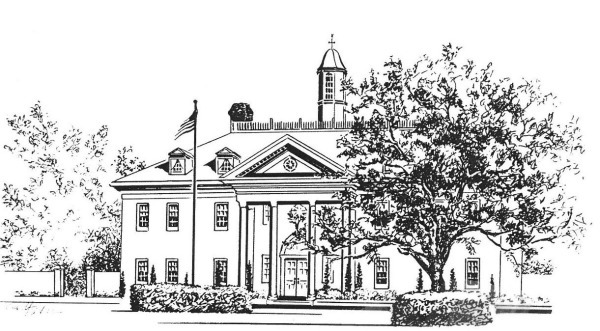 The office building of the Boone Law Firm is an outstanding example of early Colonial American Georgian architecture. It has won several civic and beautification awards over the years. The early American craftsmanship is displayed throughout the building from the detailed early American woodwork to the vast collection of early American furnishings. The three-story brick building is a replica of the building erected in 1750 as the Colonial Governor’s Place and Capital of the Colony of North Carolina. The building was built approximately 45 years ago to house the ever-growing needs of the law firm, including adequate parking. Boone Law Firm is located at 1001 Avenida del Circo, Venice, Florida, across from Grace United Methodist Church and Village on the Isle. Office hours are 8:30 a.m. to 5:00 p.m., Monday through Friday. Telephone No. (941) 488-6716; Fax No. (941) 488-7079; and general email address: admin@boone-law.com; for each attorney’s individual email address please see their profile page.